- A combination of asphalt overlay and partial reconstruction phased over three sections of the runway north end, south end and center section for approximately three months. A mill and overlay will be performed on 4,400 feet of the runway’s center section, the largest portion of the project. - Full runway closure for 10 days and 26 nights (10 p.m. to 6 a.m.), including project mobilization and close-out phases. - Limited runway lengths for 65 days, with no less than 5,000 feet available for landings and 5,209 feet available for Departures at all times. - Isolated repairs on existing concrete runway ends, reconstruction of runway and shoulder pavements, high-speed exit light modifications and pavement markings. The consensus on how to proceed came after nearly three months of studies and negotiations among LAWA’s consultant HNTB Corp., whose engineers originally called for a total reconstruction of the 8,000-foot Runway 16R/34L, and VNAA’s consultants. Kraus-Manning, Inc. and Labelle Marvin, whose engineers determined that an asphalt overlay could be performed within a much shorter timeframe, at a lower cost and with significantly less negative economic and operational impacts. Following additional stress testing of the runway and several technical workshops beginning last March, both Kraus-Manning, Inc. and LaBelle Marvin recommended that a mill and overlay renovation with only nightly closures would be the best alternative. However, LAWA and HNTB Corp. engineers failed to agree, offering various options for a combination of overlay and reconstruction. As the Engineer of Record, HNTB Corp. must approve the final project design and specifications. According to LAWA records, nighttime jet operations accounted for less than one percent of total takeoffs and landings at VNY in 2011. The rehabilitation work will not affect VNY’s 4,000-foot runway, used mainly by piston aircraft. “Moving forward, we will remain focused on mitigating negative economic and operational impacts on airport operators and tenants,” Castagna said. 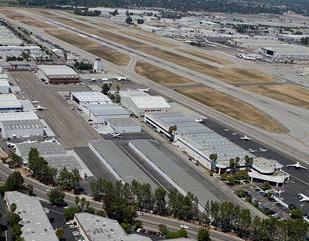 “Even though shorter in duration, the upcoming runway closures and restrictions will disrupt business and result in millions of dollars in lost revenue.” Van Nuys Airport Association was founded in 1982 as a nonprofit organization. NAA is a collaboration of Van Nuys Airport tenants and supporters working to preserve general aviation as a major economic driver. The organization is committed to supporting initiatives and programs that promote, preserve and protect jobs and businesses at Van Nuys Airport.